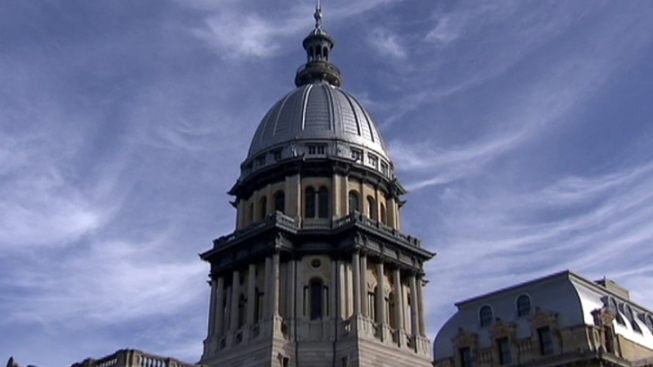 The Illinois Senate could vote on a new budget proposal as soon as Wednesday, which could signal the end of the state's nearly two-yearlong stalemate. Senate President John Cullerton and Republican Leader Christine Radogno are tasked with pushing through their sweeping plan, which includes a variety of budget and non-budget items. Under the proposal, the state’s income tax would reportedly jump from 3.75 percent to 5.25 percent. The corporate tax rate would also jump from 5.25 percent to 7 percent. Additionally, the plan outlines a state minimum wage increase from $8.25 to $11 an hour. The so-called “grand compromise” would also include a two-year property tax freeze, as well as pension and workers' compensation reforms. Nevertheless, leaders in Springfield were tight-lipped on the proposal Monday. Cullerton’s office declined to comment on the budget, citing the proposal’s developing nature. Radogno’s office did not immediately respond to Ward Room’s request for comment. If the Senate passes their proposal this week, the plan will then require approval from the House and the governor’s office. Gov. Bruce Rauner lauded Cullerton and Radogno’s bipartisan push to craft a budget last week, but wouldn’t explicitly back their developing plan. “I think it’s premature for me to comment on any specific types of proposals yet,” Rauner told reporters last week. “I think things are very fluid, they’re evolving. Some ideas are going somewhere, some aren’t." “I want to compliment Democrats and Republicans in the General Assembly, especially in the Senate where they’re working hard to try to get a balanced budget with reforms,” the governor added. "I think that's great." While Senate leaders jockey to push through their massive plan, Rauner will deliver his State of the State address Wednesday in Springfield. The governor halted budget negotiations last month after House Speaker Michael Madigan refused to put forth a budget proposal. The speaker’s office claimed the onus is on Rauner to propose a budget. Madigan’s office declined to comment on the new budget proposal Monday, claiming the Senate deal is still being hashed out. Illinois' most recent stopgap funding plan expired at the start of the year, leaving the state’s higher education and health and human services in a precarious position. Senate committees are slated to begin hearings Tuesday on the new proposal.